Up to 14 passenger. Great for night out. When space and luxury are two issues that need to be addressed in regards to transportation, there really is only one solution that accommodates both needs. The limousine is the typical go-to vehicle when it comes to stylish transportation of either a large group or an intimate affair. 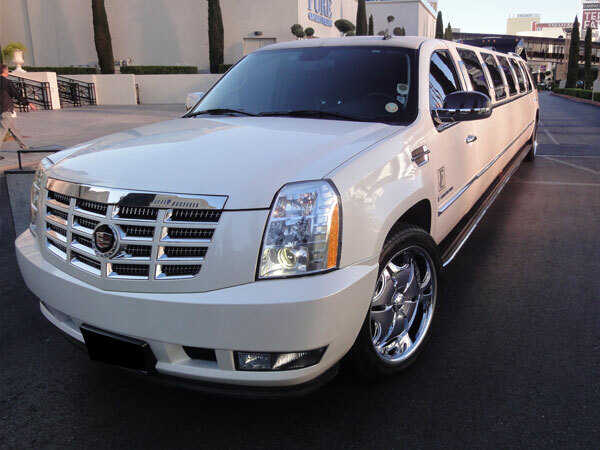 If you're planning on getting a large group of individuals together and wish to travel in something a bit more elegant than the basic Executive L Series limousine, you can turn to the SUV Stretch Limousine. With the ability to hold up to 28 individuals, the SUV Stretch Limousine is the perfect vehicle to turn to when traveling in a large group. 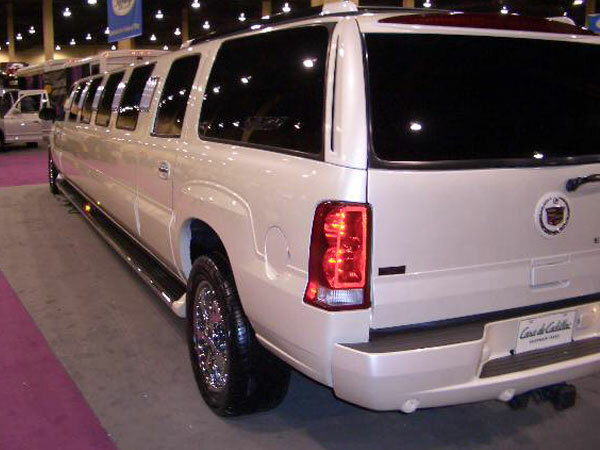 Dallas Limo Services offers an array of SUV Limos that range from basic fair to an all out mobile party. 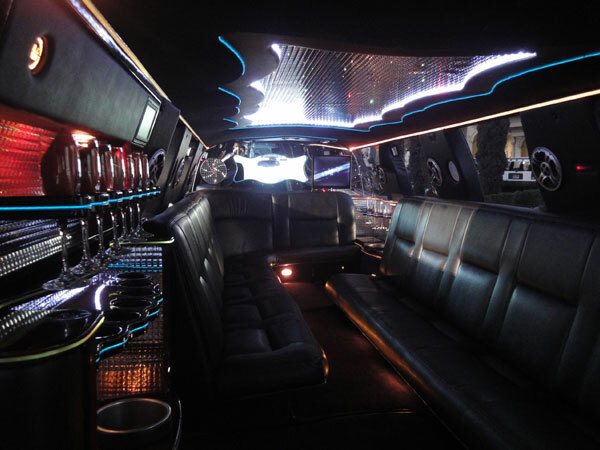 Since most SUV Limos are equipped to handle a bit more of a wild crowd, the perfect occasions for these stretch vehicles are more in the vein of bachelor / bachelorette parties, proms, and weddings. The most basic of SUV Limos is outfitted with bench seating that lines either side of the vehicle. At the far end of each plush leather bench is an on-board television with built in CD/DVD player. Attached to the vehicles surround sound system, this set-up ensures that the sound quality of anything being played is not lost on individuals at the other end of the vehicle. Newer models accommodate the use of most MP3 players, but all docking stations fit perfectly with any iPod. The ability to customize the music ensures your experience on-board remains completely unique. If you're a bride looking for the perfect mode of transportation for you and your bridal party, no matter how small your group may be, the SUV Limo should be your go-to vehicle. The height of the SUV allows for ease of entrance for those gussied up individuals and allows for plenty of leg room if the bride's gown is fairly oversized. Corporate events can make good use out of the SUV Limousines size and cut down on company costs by choosing a vehicle with a large capacity of passengers. Basic models are more subdued and can hold that business-appeal that most company's look for in their vehicles. The SUV Stretch has that classy look on the outside that keeps it from strictly looking like a party vessel. 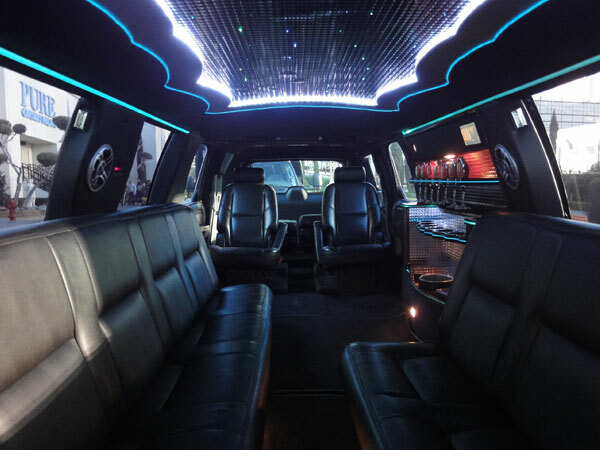 Whether you're planning for a large party or just want the leg room for your smaller occasion, the SUV Limousine is the key for all occasions. Be it a corporate event or a bachelor's last night on the town, the class and elegance of the SUV Limo makes it the perfect choice for all occasions.